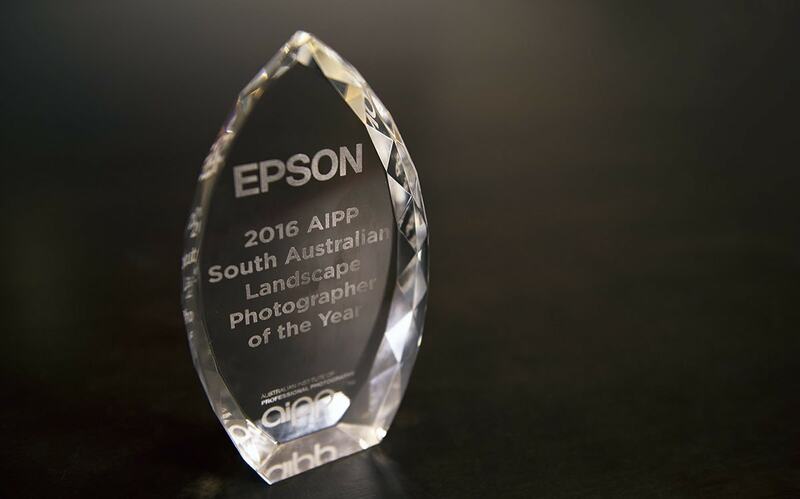 I’m pleased to announce that through my entries into the 2016 AIPP South Australian Professional Photography Awards, I have been awarded the prestigious title of Landscape photographer of the year, while also being a finalist in the Science category. My entries this year garnered a total of 8 awards, 1 gold award and 3 silvers in the Landscape category, and 4 silvers in the Science. I have a tradition of winning awards each year I enter both the State based Professional Photography Awards and the National equivalent. I have never won a category before however, so this is something quite special. I had come in as a finalist before, back in 2014 when I came runner-up in the Contemporary Photographic Artist category. The award of Landscape photographer of the year is very special for me as this was one of my goals in my photographic career to finally win a category, now my next goal is to achieve ‘Master Photographer’ status as the next step up from my current ‘Associate of the AIPP’ status which I earnt in 2015. Also in the Science category I entered a few images taken on my trip overseas, with the notable exception of a sun trail, or solarisation taken in O’halloran Hill, just around the corner from where I live.